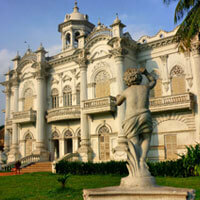 Looking for a cheap flight from Dhaka to London (DAC-LONA)? Before you book a flight you can use Utiket to find the cheapest flights from Dhaka to London for British Airways, easyJet, BA CityFlyer, Biman Bangladesh Airlines, Virgin Atlantic, British International Helicopt. All flight data are real-time and accurate. Utiket finds all the cheapest flights from Dhaka to London. On average the flight time between Dhaka and London is about 6 hr 0 min. Be aware there is a time difference of 5 hours: The time in London is 5 hour earlier than the time in Dhaka. The timezone for Dhaka is: UTC +06:00. The local time now: 20:49:14. For London the timezone is: UTC +01:00 and the local time now: 15:49:14. Hazrat Shahjalal International Airport, formerly known simply as Dacca International Airport and Zia International Airport, is the largest airport in Bangladesh with close to 6 million passengers, accounting for over 60% of passenger movements in the country. Find cheap flights to Dhaka or read more about Shahjalal International Airport. The metropole London has multiple airports: London Luton Airport (LTN), London Gatwick Airport (LGW), London City Airport (LCY), Heathrow Airport (LHR), London Stansted Airport (STN), London Southend Airport (SEN). 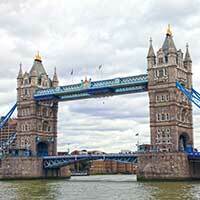 Find cheap flights to London here on Utiket. We compare flights to all airports in London, so you can find easily the cheapest flight..